Detectable engineering plastic (acetal) can be sensed by metal detectors. Solution to many food processing packaging applications. Additives that allow it to be traced by standard metal detectors and removed before causing further contamination. This detectable engineering plastic provides all of the physical properties of acetal and can be sensed by metal detectors. We can offer detectable acetal as a solution to many food processing packaging applications. Most of the food products that we consume every day come into contact with different machines during the manufacturing and packaging process. If just a small part or component from any one of these machines finds its way into food there can be serious health risks. Detectable plastic has special additives that allow it to be traced by standard metal detectors and removed before causing further contamination. Quality assurance engineers at large food processing manufacturers have tested this product and found it to be highly effective. The important mechanical, thermal and chemical resistance properties remain unchanged in comparison to standard acetal. 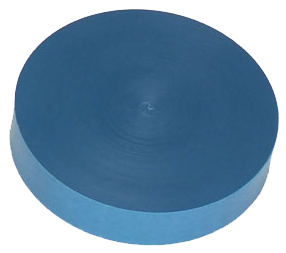 This engineering plastic is easily machined and has excellent dimensional stability for close tolerance parts.